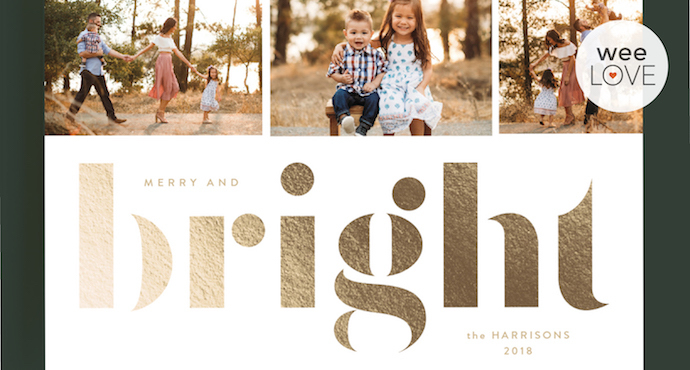 Minted continues to make it easier than ever to send some good cheer to your nearest and dearest, without spending a ton of time trying to fit your perfect photo in that perfect holiday card template. The global design marketplace features unique creations by independent artists, so you can seamlessly find a one-of-a-kind style for your holiday cards. From postcards to ornament cards, booklets to letterpress and foil styles, there’s something for everyone. Be sure to take advantage of their time-saving features like free recipient addressing and the “Text Us Your Photo” option (a busy parent lifesaver!). Simply text your holiday card photo to 415-915-CARD (2273) and a Minted designer will text you back 5 designs styled with your photo for free. Are you required to purchase from Minted if you opt to use the free “Text Us Your Photo” service? You’re not! 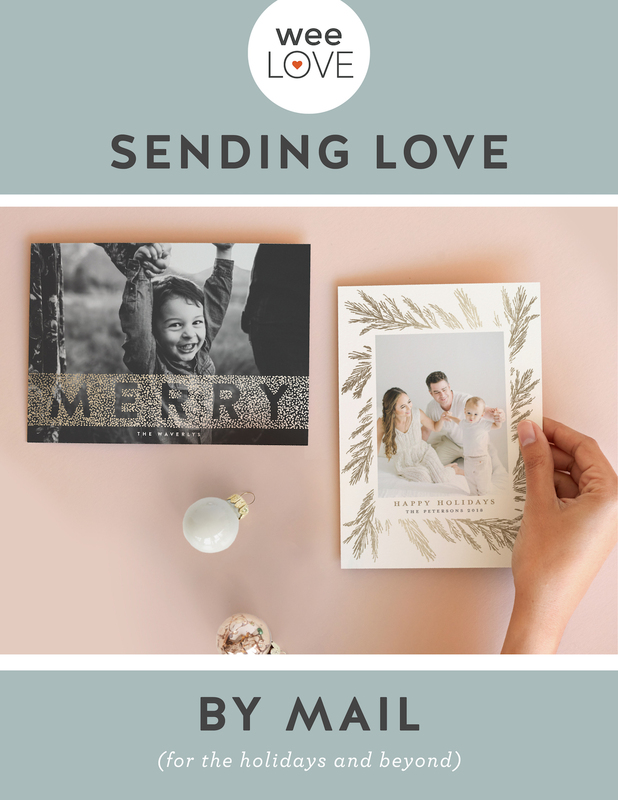 But they do send you images of cards you’d be able to purchase from Minted—so if you like what you see, you can pick choose the design easily from their suggestions.